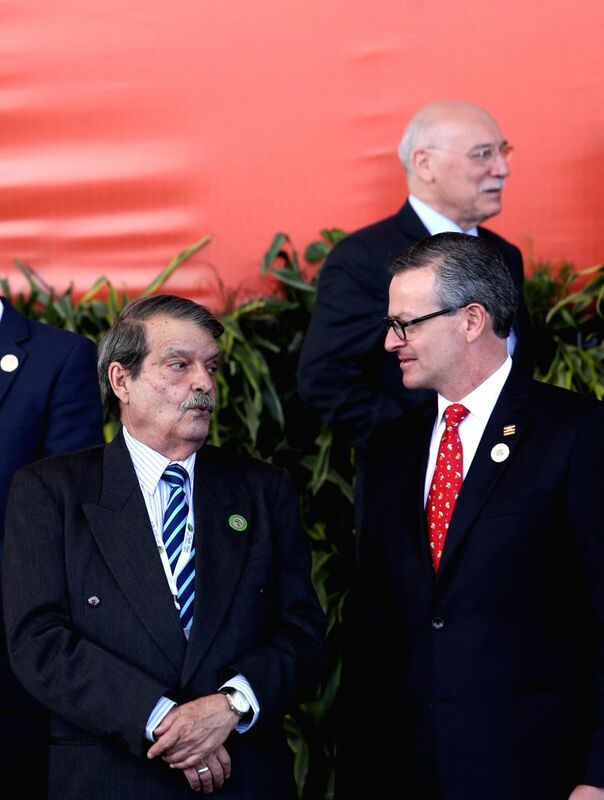 SAN ANTONIO DE BELEN, Jan. 27, 2015 (Xinhua) -- Cuba's Vice Foreign minister Abelardo Moreno (L) speaks with his Costa Rican counterpart Manuel Gonzalez (R) during a group photo session for foreign ministers on the sidelines of the 3rd Summit of the Community of Latin American and Caribbean States (CELAC, for its acronym in Spanish), in San Antonio de Belen, Heredia Province, 20 km northwest of San Jose, capital of Costa Rica, on Jan. 27, 2015. Leaders of Latin American and Caribbean States will attend the 3rd CELAC summit here on Wednesday and Thursday. 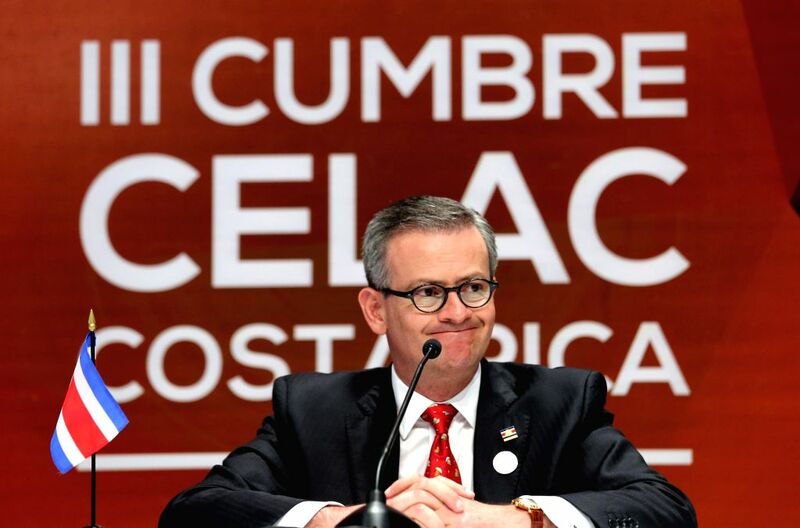 SAN ANTONIO DE BELEN, Jan. 27, 2015 (Xinhua) -- Costa Rica's Foreign Minister Manuel Gonzalez attends a press conference on the sidelines of the 3rd Summit of the Community of Latin American and Caribbean States (CELAC, for its acronym in Spanish), in San Antonio de Belen, Heredia Province, 20 km northwest of San Jose, capital of Costa Rica, on Jan. 27, 2015.